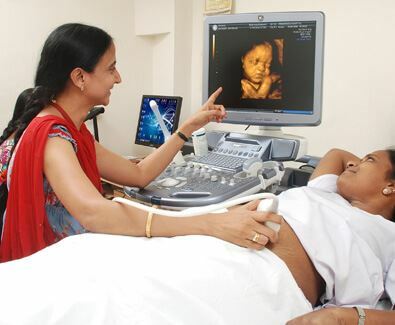 The Fetal Medicine Unit (FMU) at Fernandez Hospital was started in 1998 with the aim of providing diagnostic and therapeutic services for women with a previous history of maternal fetal conditions, as well as for women who require fetal medical intervention, due to problems with the present pregnancy. The Unit is the first in Andhra Pradesh State to perform intra-uterine fetal blood transfusion for Rh isoimmunisation pregnancies. So far, 16 intra uterine blood transfusions have been performed. In the case of 11 patients, 9 have had successful pregnancies.